Migros Ticaret A.Ş. was founded in 1954 in İstanbul through the joint initiatives of the Swiss Migros Cooperatives Union and the İstanbul Municipality. Embracing the mission of procuring food supplies and consumables from producers under the supervision of the municipal authorities and of serving these products to İstanbul inhabitants in hygienic conditions and at economic prices, Migros opened its first store in Istanbul in 1957. Today, Migros offers spacious stores in a wide range of formats and locations whose vast selection of stationer, glass and kitchenware, appliance, book, recorded media, clothing and other necessities give it the ability to satisfy nearly all of the shopping needs of its customers. As of 31 December 2016, Migros operates 1558 stores across all seven geographic regions of Turkey serving to its customers including 8 million of loyalty card holders. Internet Media España SL is a specialist digital marketing agency that generates large amounts of qualified search traffic to premium partners. This means we help our clients increase their web traffic, monetize it and generate extra revenue. JOT is one of the three largest worldwide players in internet traffic brokerage and its main strategy for growing is based on the incubation of new business lines related to traffic generation. As such, JOT can benefit from its excellent knowledge and competitive edge in order to enter the Ad Tech sector. Automobil Club Assistencia S.A. (ACASA) is the company of the Reial Automòbil Club De Catalunya (RACC) group –the biggest Spanish motoring club with around 1 million members – dealing with the direction, organization and management of assistance services and operations for the RACC members. 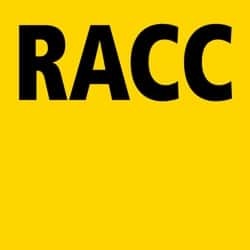 RACC is a non-profit-making organization dealing with the promotion of motor sports, the provision of services to its members as well as the advice, protection and defense of car users, the improvement of road safety, sustainable mobility and environmental protection, being able to carry out these tasks either through its different departments or through co-operation agreements. Virtual Power Solutions (VPS) is an innovative, market leader in the design and operation of dynamic connected platforms, providing real-time granular data to consumers, network operators and utilities. Minimising consumption by increasing energy efficiency, optimising the time of use and realising the monetisation of loads. VPS has a proven team of experts with a strong track record of providing significant benefits to all stakeholders in the modern energy network. Its aim is to become the largest builder and operator of Virtual Power Plants in Europe. VPS is a tech company that provides ESaaS (Energy Savings as a Service) to all sectors: industrial and commercial, SME and domestic, addressing important market needs arisen from the current energy transition: i) Energy Consumers that want to minimise, optimise and monetise their energy demand, be protected against the future introduction of time-of-use tariffs in European markets, manage the challenges associated with the growing number of electric vehicles and, simultaneously, increase the energy independence and sustainability through Nearly Zero-Energy Buildings (NZEB); ii) Utilities and Network Operators who need to balance their grid, assure a secure operation and minimize the deviations to the forecasted demand by introducing ADR capabilities in their customer base. Sonae is a leader in the Portuguese retail market (food and non-food). Established in 1959, grew and strengthened its core business during 1980’s and 1990’s and achieved a turnover of €4.9Bn in 2014. Innovation in products and services has been the main tool to increase the company’s competitiveness. Sonae holds other businesses and interests such as retail properties, and core partnerships, such as shopping centres and telecommunications (one of Portugal’s biggest Telco companies). The retail business came a long way since the opening of the first hypermarket in 1985, changing along the way the consumer habits and starting a revolution in the commercial landscape in Portugal. Today it owns hypermarkets & convenience supermarkets, electronics stores, fashion stores, cafeteria and restaurants, book shops & stationery, health & wellbeing stores. Sonae’s vision is “to create economic and social value in the long run, taking the benefits of progress and innovation to an ever increasing number of people”, that’s why the company sees innovation in the service of sustainability as a priority. commercialization acitivities mainly in software and informatics. YKT is one of the pioneers in R&D in banking operations having a cutting edge R&D team, which so far has developed various projects nationally and internationally funded. The team has shown significant outputs in fields like machine learning, pattern recognition, and natural language understanding. Yapı Kredi (YKB) established in 1944 as Turkey’s first retail focused private bank and the 4th largest private bank. YKB has been the leader in credit card market for the last 25 years and maintains leadership position. 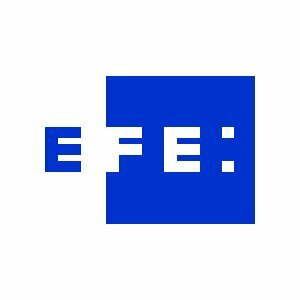 Agencia EFE is the leading Spanish language news agency and the fourth largest news agency in the world, with more than seventy years of experience guarantees its impartiality, its power, its credibility and its immediacy. A multimedia news company with a network of journalists worldwide, more than 3,000 professionals of 60 nationalities working 24 hours a day in over 181 cities in 120 countries, and four publishing houses in Madrid, Miami, El Cairo and Rio de Janeiro, offering products to customers across the five continents. EFE distributes almost 3 million pieces of news every year in various news formats: text, photographs, audio, video and multimedia, reaching more than 2,000 news media in the world every day. From its world network of bureaus and correspondents’ offices, EFE instantaneously offers the Spanish and Latin American view of the world in Spanish, Portuguese, English, Arabic, Catalan and Galician. Founded in 2004, UBIMET GmbH is the largest private provider of meteorological services in Austria and among the top three largest weather companies in Europe. Headquartered in Vienna, UBIMET runs several branch offices in Melbourne, Berlin and New York. Currently, UBIMET has about 200 employees. The company’s main area of expertise lies in the field of meteorology, specifically in developing forecast models, issuing weather forecasts and severe weather warnings with high temporal and spatial resolution, as well as in preparing data and forecasts tailored to suit individual customer requirements, such as information services, risk management, personnel planning, decision support, etc. The clientele includes insurance agencies, infrastructure operators, municipalities and individuals, as well as mass media, such as daily newspapers and private radio stations. Due to the essential advantage of an in-house research and development department, UBIMET can provide state-of-the-art knowledge in all areas of meteorological technology and has experience in different joint research programs dealing with meteorology and ICT. Elektro Ljubljana is the largest power distribution company in Slovenia. It covers the main part of Slovenia, including Ljubljana, the country’s capital city. Elektro Ljubljana’s grid covers a third of Slovenia, i.e. 6,166 sq km. Over 36 % of the population relies on the supply of the power provided by the Company; hence it supplies electricity to over 326,000 customers. The Company is also responsible for the development, maintenance and management of the grid and it employs almost 1,000 employees. Presenting the grid in figures, the Company oversees 16,390 kilometres of underground cables and overhead lines as well as 5,183 substations. Ljubljana, the capital city, relies almost exclusively on the underground network and covers an area of 149 sq km while the cables stretch on over 2.697 km. The Company boasts with the following certificates: ISO 9001 (Quality Management System), ISO 14001 (Environmental Management System), ISO 27001 (Data Protection Management System) and OHSAS 18001 (Occupational Health & Safety Management System), which attests company’s dedication towards quality-orientated organisation and policy. The Company’s mission is a complete supply of electricity to consumers and performance of ancillary services. Volkswagen Navarra is one of the 120 production plants that the Volkswagen Group owns all around the world. This location is the only manufacturing facility for its Polo model and recently has been assigned with the production of a new Volkswagen model that will be announced in the next months. The plant, located in Arazuri (Navarra) produces around 300,000 vehicles a year and employs 4,500 people. Volkswagen Navarra, one of the main automotive Automaker Assembly Plants located in Spain, has a long history. It was founded in 1965 as an assembly plant owned by AUTHI (a British car company). During this stage, the company produced 131.744 cars. In 1975 Authi was bought by SEAT and the plant of Pamplona was included in the Spanish group together with the pl ants in Barcelona. During this stage the plant produced 284.225 cars. Finally, the plant in Pamplona was sold to the Volkswagen Group in 1983 as part of a collaboration contract signed between SEAT and Volkswagen. Since then, Volkswagen has produced 7.415.431 Polos in this facility. VIA VERDE PORTUGAL, SISTEMAS ELECTRÓNICOS DE COBRANÇA S.A. 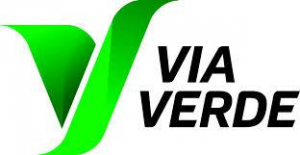 Via Verde is a Portuguese SME responsible for collect and process a national Electronic Transaction Collection for highways and other car services: parking lots, restaurants, fuel stations and other services. Via Verde is a pioneer on the industry and a global reference. Via Verde capital structure is led by Brisa Group. Minority shares are owned by Ascendi and SIBS. Brisa Group is the company that ensured financing, construction and operation of what is now regarded as the backbone of the Portuguese Highway network. Brisa Group currently is present in three continents and continues to expand the markets where it operates, whether through its operation services or concessions management. Over the years, it has forged a path, extending its reach to the whole country from North to South and from East to West, stimulating economic activities and bringing the Portuguese closer together. Today, it has a new mission: to provide efficient mobility for the people. Created an innovative operation model, focused on technology and customer service. Its growth firmly based on innovation. It is a pioneer in Toll collection mechanisms and a reference worldwide, working also as a consultancy in the field being already involved, among others, in USA’s major toll collection systems. The Vlaamse Radio- en Televisieomroep (VRT) is the public broadcaster of the Flemish Community in Belgium. Its mission is to reach the largest possible number of viewers and listeners with a diversity of programs that arouse and fulfill their interest. To accomplish this, VRT owns 3 TV channels (Eén, Ketnet, Canvas), 5 radio stations (Radio1, Radio2, Klara, Studio Brussel and MNM) and 2 web portals (deredactie.be and sporza.be). VRT has been active in research and innovation projects with a dedicated lab for research activities for over a decade. 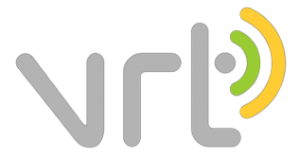 This lab is currently called VRT Research & Innovation. VRT Research & Innovation (VRT R&I) carries out research into the creation, management, distribution and consumption of media content. The lab has an independent multidisciplinary team of 14 highly qualified researchers with an expertise in many facets of media production and media management. This team is often extended with VRT professionals from the creative domain creating a bridge between research project and the production floor. ENERGA Operator SA is distribution network operator (DSO) responsible for the development and maintenance of distribution grid located in northern and central part of Poland. Energa Operator SA is also a member company of Capital Group ENERGA SA. ENERGA SA is owner of 47 hydro power plants, Ostroleka coal power plant with rated capacity 722 MW. Total energy production in year 2015 was equal to 4.1 TWh. Total capacity of wind turbines connected to the Energa Operator grid is equal to 1966 MW. Energa Operator runs grid consisted of 110 kV lines (6,442 km), 15 kV lines (67,366 km), 0,4 kV lines (110 619 km), 110/15 kV/kV, main system substations (493) and 15/0,4 kV/kV substations (59 084). 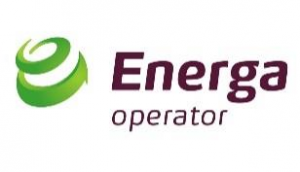 Energa Operator supply electrical energy to 2.8 mln customers, including 0.29 mln business customers. The energy delivered to customers (sold) in Q2 2016 was equal to 5,5 TWh. AMI Project started in Energa Operator in 29.06.2010. It included the implementation of a central IT system, and the implementation of smart metering infrastructure. Developed standards for communication, which take into account the meter data model COSEM objects and Data Terminal Unit, precise guidelines for the implementation of all the used communication protocols (eg. DLMS, HDLC, PRIME), its own communication protocol between the application and the hub (DCSAP) and defined security mechanisms for all system components. More than 840k meters was installed on Energa-Operator grid within 6 years of the roll out of the project. EMASESA has defined a Policy of its Integrated Management System, which encompasses the Quality, Environmental, Occupational Risk Prevention, RTD and Water Safety Plans. 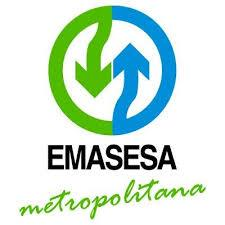 EMASESA belongs to national and international networks and platforms in the field like: PLANETA, Asociación Española de Abastecimientos de Agua y Saneamiento; European Public Water. 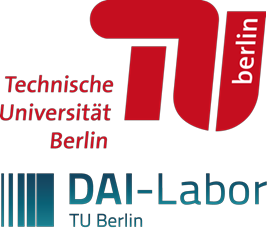 The Technical University of Berlin (TUB) is represented by its Distributed Artificial Intelligence Laboratory (DAI-Labor), which is a government – and third party funded research institute (http://www.dai-labor.de/en/) at TU Berlin under the leadership of Prof. Dr.-Ing. habil. Dr. h.cc. Sahin Albayrak, with over 150 researchers, post-docs, graduate students, and support staff. Since its inception in 1992 the DAI-Labor at TUB has become a bridge between research and industry with the development of distributed systems as well as tools and frameworks that facilitate these developments in many different domains. Research at DAI-Labor is being conducted within six Competence Centers (CC); each center applies its competences for the development and evaluation of Smart Services. Additionally, the expertise and experience of researchers from different competence centers are integrated to the six different Application Centers of DAI-Labor to ensure applicability and practical relevance of research outcomes. DAI-Labor at TUB is a team of high scientific expertise in many different areas and is widely recognized in the research community. As such, it will have the chance to produce high-quality scientific results, which will be disseminated through journal publications, conferences, workshops, and standardization activities. DAI-Labor has already participated in a number of EU co-funded projects as well and has comprehensive experience with international consortia. The Municipal Transport Company of Valencia (also known as EMT Valencia) is an entity that has a surface public transport service by bus in the city of Valencia (Spain) and the cities of Alboraia, Alfara del Patriarca, Burjassot, Moncada, Tavernes Blanques, Sueca and Vinalesa. EMT València belongs entirely to the Valencia City Council and is governed by a Board of Directors, appointed by the General Shareholders’ Meeting, composed in turn by all the concepts that represent the different forms of policies that make up the Municipal Consistory. It was created in 1986, after the City Council of Valencia acquired all the shares of the company SALTUV, which became known as the Municipal Transport Company, at the same time the company’s management began. IGT is a multinational gaming company providing products and services to over 100 government regulated gaming jurisdictions around the world. Our products and services support all channels of gaming including Casinos, Lotteries, online and mobile gaming and sports betting. Headquartered in Las Vegas Nevada, IGT employs over 12,000 staff, with development hubs throughout Europe, North America and around the world. EDP is a multinational, vertically integrated utility company. Throughout its 40 years of history, it has been building a relevant presence in the world energy scene, being present in 14 countries, in 4 continents. The company has around 12.000 employees and is present throughout the electricity value chain and in the gas commercialization activity. It is the fourth largest wind energy production company in the world and almost 70% of its energy is produced from renewable resources. EDP provides electricity to almost 10 million customers. EDP Group has joined Euronext Lisbon in 1997 and EDP Brasil and EDP Renewables are also listed companies. Sustainability is part of EDP’s DNA and we are a member of Dow Jones Sustainability Index. In Spain, EDP is present in the generation, distribution and commercialization of electricity and services, and in the commercialization of gas. Nipe Fagio (NF), “give me the broom” in Swahili, is a civil society organization founded in 2013. We aim to empower individuals, especially the youth, the civil society, the private sector and government to build lasting change towards turning Tanzania into a clean and sustainable city, conscious through education of its role on waste management and reduction of pollution. Our OBJECTIVE is to turn Tanzania into a replicable example in the pursuit of sustainable development in East Africa, encouraging the East African community to grow and develop to be a thriving clean economy supported by a conscious and engaged population. Our VISION is a clean, healthy, and safe Tanzania. Our MISSION is to raise awareness and engage civil society, the private and the public sector in pursuing a sustainable lifestyle, identifying opportunities to improve waste management and reduce urban pollution through education and actions that create economical value.